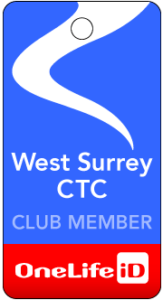 Well, “qualified” is a big word as we have no formal training syllabus for our ride leaders – contrary to what Wantage CTC asserts but more on this later. Anyhow, with the Rides Secretary’s blessing, Neil Eason who is one of our foremost ride leaders, went ahead and provided familiarisation training on how our club leads rides to three keen new volunteers. When the trainees felt ready for it Neil validated their suitability during a “check ride” and the Club Secretary submitted their candidacy for approval to CTC Head Office.This Wednesday, in the blistering April sunshine outside Savills Gardens, Neil spoke an inspiring few words and presented the new ride leaders with their “badge of office”. Although these badges are simply club-issued First Aid kits, Neil was quick to highlight that such kits are nonetheless “practical yet symbolic items which remind our 3 new leaders of the “duty of care” they owe to their riders”. Flanked by their trainer Neil Eason (on the left), Keith Ricketts, Pat Daffran and John Child are sporting their newly club-issued First Aid Kits. 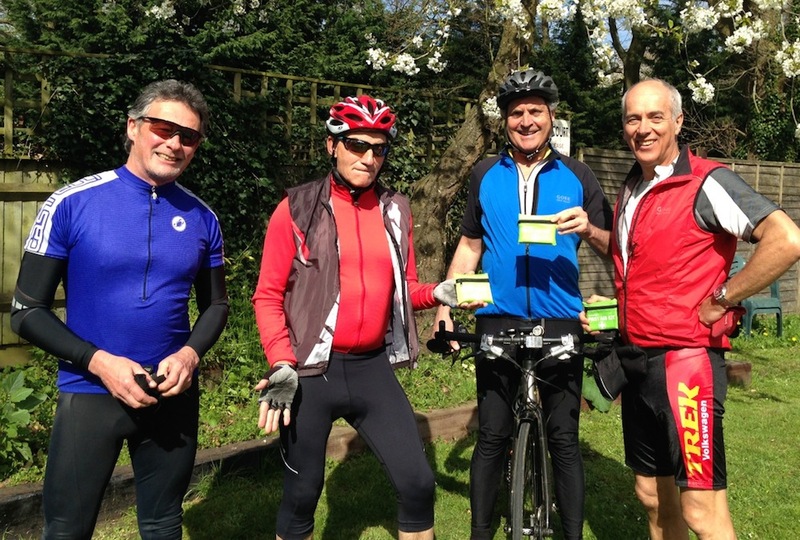 All candidates reported having found our club Group Riding Guidelines of September 2013 perfectly suitable to guide them on what was expected of them in their new role as ride leaders. Of course, not one CTC local group has the same standard. Influential CTC officials such as Chris Juden already recognise that “an on-the-job system of leader qualification” is in operation in local groups, with local groups “drawing up their own more detailed ride leading guidelines”. Some of the ride-leading knowledge that lives in the heads of our local volunteers went into the production of CTC’s leaflets for group ride participants and leaders. But a leaflet is too small to give more than pointers: the bare bones of how to lead a ride. I’m aware that several local groups are engaged in putting flesh on those bones by drawing up their own more detailed ride leading guidelines, and that some already have such a document . or post to CTC National Office, marked FAO Chris Juden.